A couple of weeks ago, on the side of the busy highway in Fronteras, Guatemala, at a store that was really not much more than a stall, I bought a sim card for my unlocked cell phone, as well as a prepaid plan that allowed me to make local calls, international calls, and access the internet. The salesman, who told me his name was Dennis, didn't speak any English. I don't really speak any Spanish. The whole transaction took about 8 minutes from the time we started to the time I had the card in my phone and could make a call. Fronteras, Rio Dulce. Real, or imagined? I have repeated this exact transaction in the Bahamas, Jamaica, the Caymans, and Honduras. It has never taken more than about 15 minutes. Yesterday, in a busy mall in the middle of Red Deer, Alberta, I went to the Telus store to do the same thing. Only it should have been even quicker, since I already had the prepaid sim card I bought when I was here in December. TWO HOURS after I got into line, I finally left the store with a cell phone that should work for the next week. The first hour and a quarter was spent standing in line. 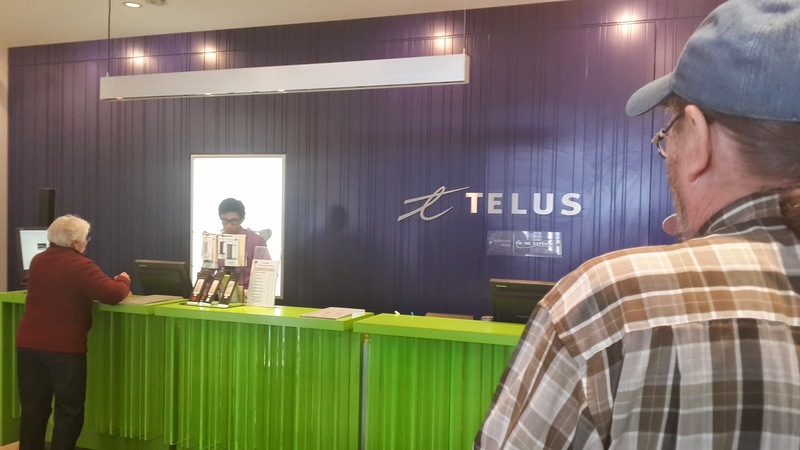 In that time, the three customer service agents at Telus managed to serve a total of 3 other people (one each). My turn took another 45 minutes, with the salesman having to phone the Telus customer service line to make it work. Unbelievable. I have no idea why Canadians put up with this, but we all pretty much just stood there in line, getting more and more frustrated at the ineptitude of the whole thing. Anyway, if you have a choice, don't go to Telus. 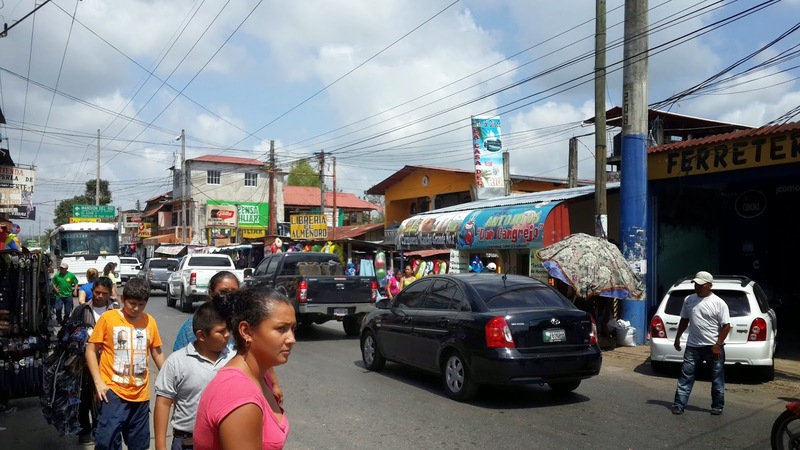 Telus could learn a thing or two about customer service at a roadside store in Guatemala. Flying from Guatemala City to Calgary via Dallas/Fort Worth, it occurred to me that these are three cities in three different countries where you can wear a cowboy hat with no hint of irony. And people do. Got a ground floor room in the hotel this time. 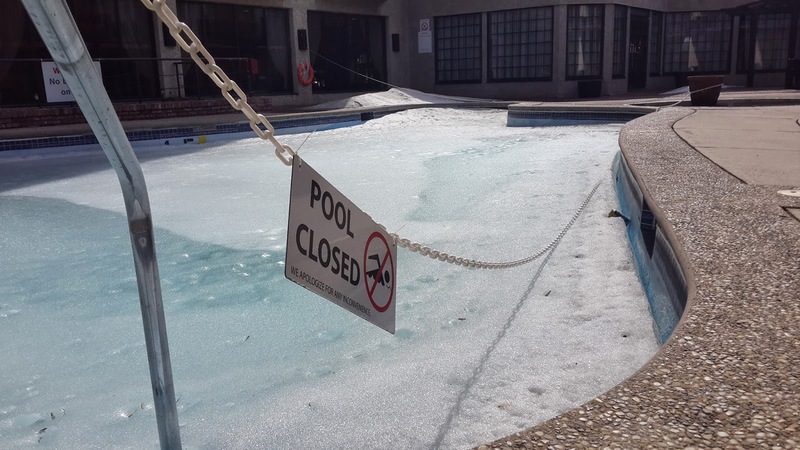 Right next to the pool. So that should be good. Just as I did back in December, I am having trouble wrapping my head around the fact that the two realities I am currently living can co-exist on the same planet at the same time. How is it possible that my family is on a boat, in the almost unbearable heat, surrounded by the green jungle of the Rio Dulce in Guatemala, while I am working in a modern hospital in Red Deer, Alberta, where the snow is melting, the brown, flattened grass is stretching out in ever-widening patches, and the dirt is blowing across the fields, clinging to what remains of the icy drifts? The cognitive dissonance is so severe as to make it feel like one of these two realities has to be a dream. Can they really both be true at the same time? After not being in a tourist spot for the last month, we suffer reverse culture shock every time we re-enter a city. It must be a similar, if less harsh, cognitive dissonance. When we got to Siem Reap the other day, we went from barren countryside, dotted with villages made entirely of ramshackle wood shacks, to riding past huge resorts like Le Meridien and into a town absolutely packed with tourists and Western-style restaurants. Anyway, one week and then Red Deer will seem like some strange dream you had!